PITTSBURGH — A cafeteria employee says she has quit her job over something being called “lunch shaming,” where some students are being denied hot lunches over a new policy. 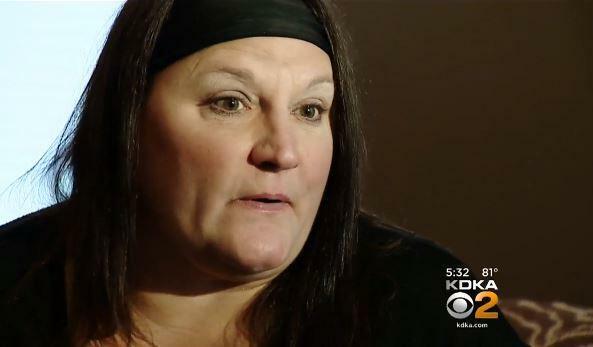 Stacy Koltiska, a former employee at Canon McMillan School District, told CBS Pittsburgh the school is essentially shaming students in an effort to get parents to pay for overdrawn lunch accounts. She was so upset by the new policy, she quit just a few weeks into the new school year. Koltiska spent two years working in the cafeteria at Wylandville Elementary, but last Thursday, she resigned after she had to take away hot meals from two children. “His eyes welled up with tears. I’ll never forget his name, the look on his face,” she said. The new policy at Canon McMillan, which was passed over the summer for grades K-6, says the hot meal item will be replaced by a sandwich if $25 or more is owed to the district for lunches. For older kids, they will receive no lunch if the debt is $25. After it happened a second time, she posted her experience on Facebook, which has now been shared over 2,600 times. She says the children are the ones who are humiliated and embarrassed in the process. “The woman I was working with was trying to get my attention, but I didn’t see ‘cause we’re serving so many kids, to tell me before I gave him the chicken to give him the cheese. But it was too late. He already had his tray,” Koltiska said. Koltiska says due to other policies, she had to then throw away the hot lunch after taking it away. The district says parents were notified in an email or by letter in August before the school year. Superintendent Matthew Daniels says this is about collecting money owed, noting that parents are notified weekly of lunch balances. Daniels says before the policy, there were more than 300 families in deficit. As of last Friday, that number has gone down to 66. That equates a lot of money recouped by the district. He says, “They fluctuated between $60,000 to $100,000 owed annually. Now, it’s down to less than $20,000” owed. “I’m not saying the parents shouldn’t be held accountable, but I think there has to be a better way than involving the children,” Koltiska says.